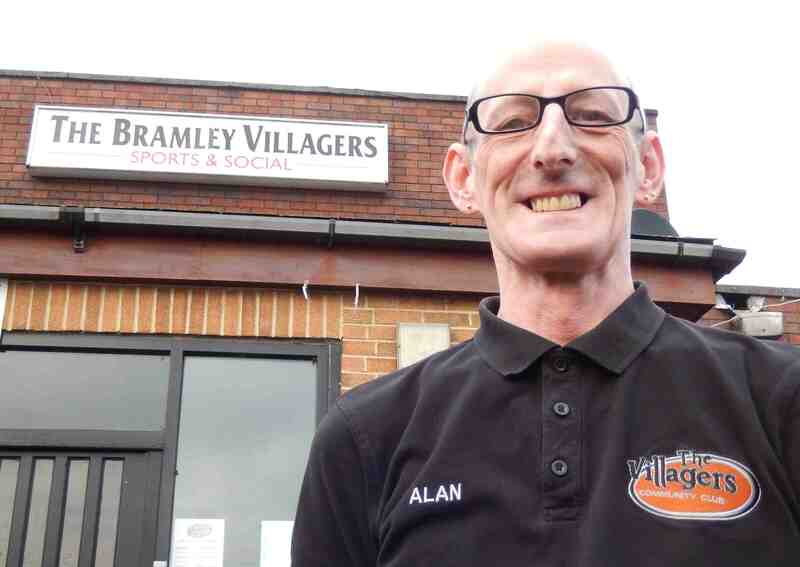 Alan Dixon has been running the Bramley Villagers for almost 3 years, but he’s been going there for 40! Alan really does do a bit of everything at the Villagers. 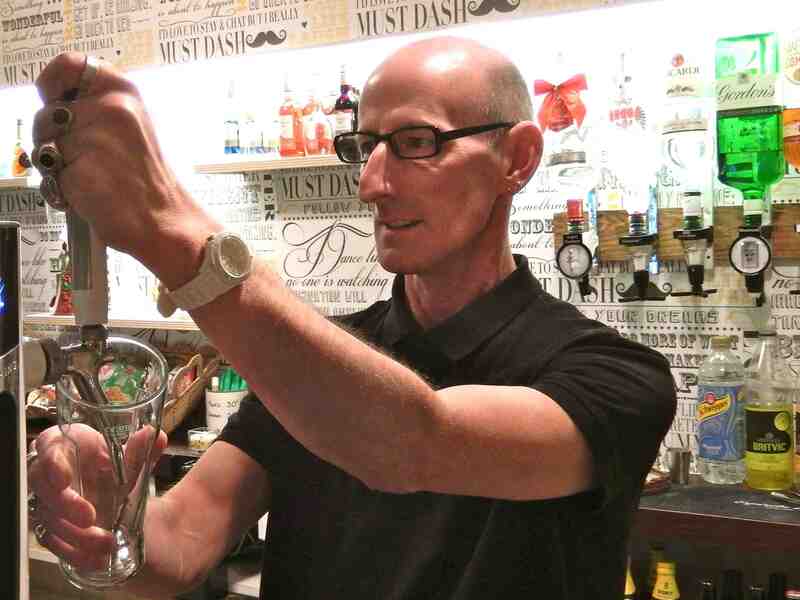 As well as everything that being a club manager involves such as sorting the tills, organising the rooms, stocking the fridge, receiving deliveries, hiring and manging staff, Alan has a very hands-on approach to everything that goes on there. For example it’s him who sells the tickets and calls the numbers for the very well attended bingo sessions on Monday and Thursday evenings. The Villagers also has a pool team on Wednesdays, a curryoke night on Fridays – yes, that’s karaoke, alongside a lovely pot of curry! – and hosts a large number of functions, such as birthdays, anniversaries, christenings and sports presentations, particularly at weekends. It’s also the social base for Bramley Buffaloes Rugby League Club. The club is usually closed on a Tuesday. Alan’s very proud that the Villagers has a real community feel to it and customers come from a really wide age range. Alan recognises the importance of such a venue for older people at a time when many no longer feel able to walk around the streets safely. The thing that Alan enjoys most about his job is meeting people, especially such a range of folk. On the down side he’s not so keen on taking deliveries (every Friday) because the barrels are really heavy! Alan says that with the Villagers being such a community club, threats and violence are really unusual. And he knows he would always have a lot of back-up from the regulars. Alan works 40-60 hours a week, depending on what functions are on. The Villagers is independently owned, so he can open and clsoe when he wants to – but he never throws people out just because it’s a very quiet evening! 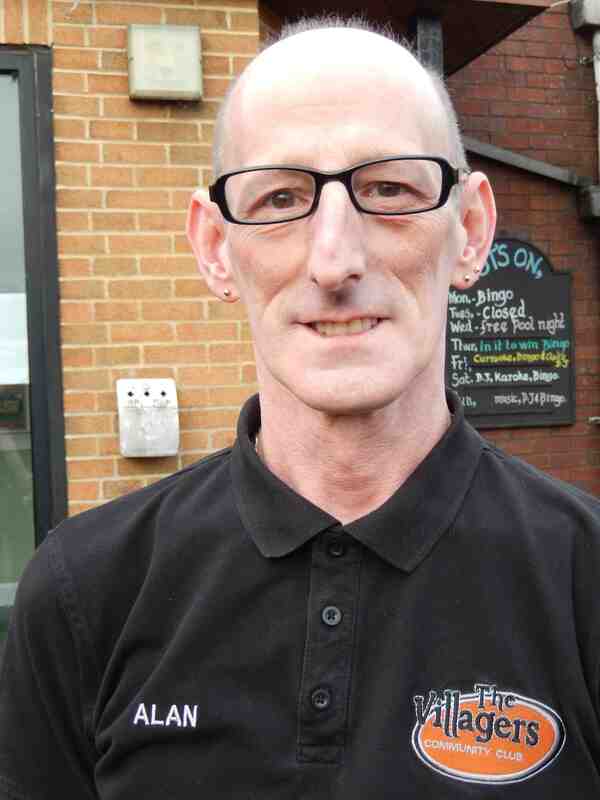 Alan was born in Leeds, went to Bradford when very young, and has now lived in Bramley for 48 years. In his spare time Alan loves gardening, at his house just down the road from the club. He used to play tennis a lot and was Bradford Boys Champion two years in a row, before the age range got too great and he was suddenly playing against 21 year olds when he was 16! Alan’s keen to use the Villagers’ function rooms more and more for the community. Get in touch if your group is interested in holding an event there.